by Daniel Keever on October 31, 2018 . Thinking about diving into social media but don’t quite know where to start? We’re here to be your guide! We will walk you through how to create a successful social media strategy to grow and engage your following. Strap in! We’re going to show you what you need to know to build your brand on social media. Why Should I Even Care About Social Media? If you’re still not sold on whether social media is worth your time, we’ll let the numbers talk. But keep this in mind. Marketing is most effective not just when it reaches the most people, but when it gives its audience an easy, immediate opportunity to act. We count social media as an invaluable brand-building platform for marketing because it has an enormous reach and it’s designed for engagement. So. what makes social media an emerging powerhouse in marketing? According to a recent study on Statista, nearly 80% of Americans have a social media profile. And the international reach goes even further, with Facebook alone boasting 1,860,000,000 accounts. This has a huge impact on the marketing strategies of businesses today, especially when it comes to their marketing budget. For example, while television viewership has declined in every age group except for 65 and older, social media usage has drastically increased in every age group. And possibly more significantly, the up-and-coming younger generation are the heaviest social media users. 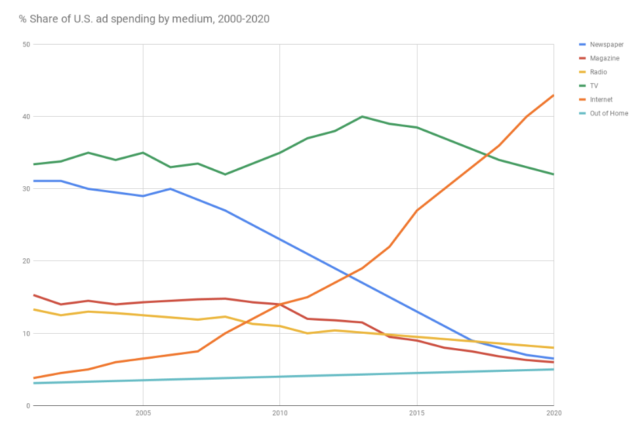 The future of media is shifting from traditional media (TV, radio, and print) to mobile and internet. 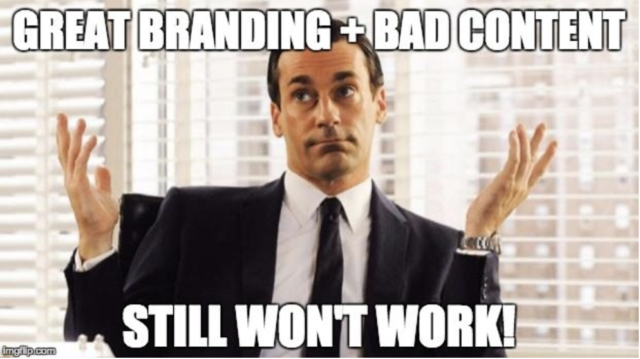 Our brands need to get there or get left behind! But Does Social Media Actually Work for Marketing? There are lots of disgruntled business owners out there who have tried social media with little to no payoff. There’s more than a handful of articles ranting about how social media is a waste of time like this one. (But even this article is riddled with Twitter sharing options and is actually about the mistakes business owners make on social media.) The moral of the story is this: if you try social media with no know-how and no strategy, you’re just about guaranteed to waste your time. But if your social media strategy has the right goals, the right platforms, and the right approach to content, social media can be one of your brand’s biggest allies. If you’re really just starting out, as in you aren’t on social media at all, you’ll need to decide what platform(s) you are going to use. To make this decision, you need to ask two questions. 1. Where is your target audience hanging out online? What’s my target age group? What’s their favorite platform for entertainment? Do a Google search or two focused on platforms you’re curious about. Search for examples of people and businesses like yours that have succeeded on social. Where are they working? 2. What Kind of Content Will You Produce? This is a big one. You don’t just jump into every platform because it’s popular. You only want to go where you have valuable content to contribute. For example, we do a lot of work with HVAC providers. Facebook is a great tool because we put together articles and videos that provide valuable information to homeowners. These get shared, commented on, and so forth. We would not think to put our HVAC providers on Instagram necessarily because Instagram has an even shorter attention span than Facebook. Our content is helpful, but it’s not exactly glamorous or visually amazing. We stick to the best platform for them. It’s all about knowing where you fit best. As you can see from the chart here, Facebook is by far the leader in quantity of users. Why? Because it has the broadest appeal. It’s not confined to one kind of content like many other platforms. It provides community organization and expanded features. This makes Facebook a great home base for just about any business. But it also may hurt some companies not to capitalize on the more niche offerings of the smaller platforms. Other platforms, such as Instagram, Twitter, and LinkedIn, are created with a more specific appeal. Instagram is designed for an emphasis on picture and video. It’s personal. It’s visual. It’s fast paced with limited off-platform engagement. It’s more consumption-friendly, making it popular entertainment. Twitter, on the other hand, is more balanced between text and visuals, but because of its limited character count, text tweets are still easy to consume quickly. It’s not a great place to write an essay on why your business is the best thing since sliced bread (you really shouldn’t do that anywhere), but it’s great for informal engagement and interaction. Overall, see if there are brands similar to yours on the platform. See what makes them successful and determine if you have the time and manpower to imitate it. That will give you a much better start. While picking the right platform is important, your content strategy is the make-or-break, the do-or-die of your social media presence. The huge pitfall so many companies immediately fall into is just posting things they think are interesting or things they want their clients to know. 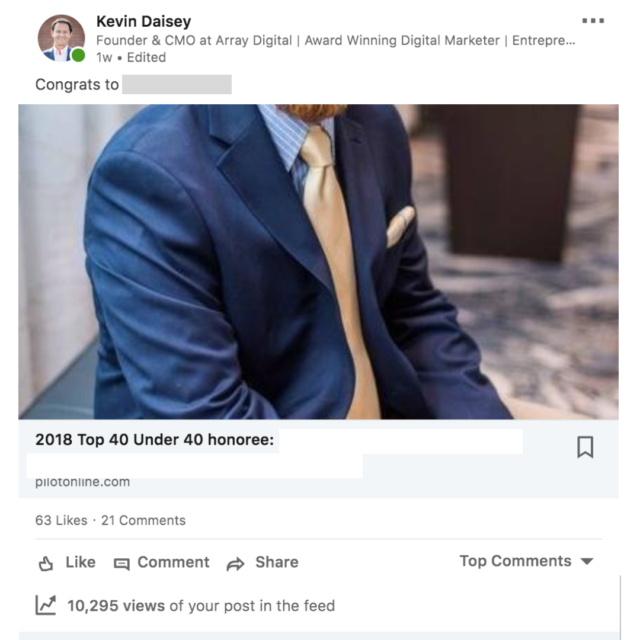 There’s not a long list of mistakes that are more common or more deadly than this… When creating content, you need to identify what a normal human being would find interesting about your company and what you do. To use our HVAC clients as an example again, not too many people are remotely interested in the difficult technical aspects of HVAC work. But more people are much more interested in things like how to lower their energy bill and improve their air quality during allergy season. Your content doesn’t need to be glamorous, but it does need to be of genuine interest to the kind of customer you want to have. Ask your team what kinds of questions they regularly get from prospects or curious customers, and make content featured around those things! 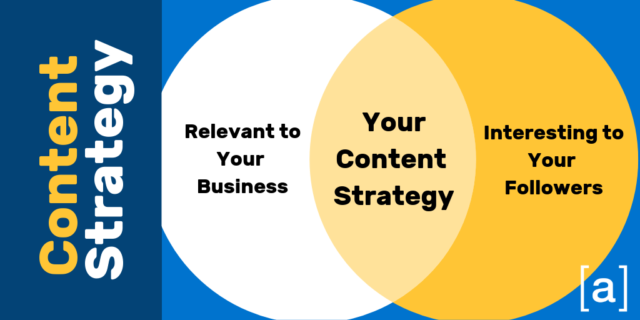 While every brand’s content strategy will look a little bit different, there are a few things that need to be present if you’re plan is going to work. Social Media Needs to be Social! Don’t just post about your products and your company. Social media is most successful when it is about people. There are a few simple ways you can do this. Feature employees! Post pictures when you network and tag people! Give shoutouts to people you know who are doing great work! Take this post for example. Having outbound links in your posts hurts your reach, but if it’s social media, it is more likely to perform excellently! This doesn’t have to be all the time, but the more you can include people in your posting, the better off you’ll be. Social media platforms across the board are prioritizing visual content in their algorithms. The pinnacle is video, followed by pictures and graphics. Posts with just words won’t perform as well. On platforms like Facebook, links to your website will also hurt your reach. So to the visuals. For many business owners, this is where they panic. They’re not a photographer. They only know how to take cell phone videos. And they’re certainly not a graphic designer. How do you create content then? Thankfully, there’s a lot of people in this boat so there’s a host of useful tools available to help you out! If you decide to do this work yourself, here are a few of our favorite tools we recommend. 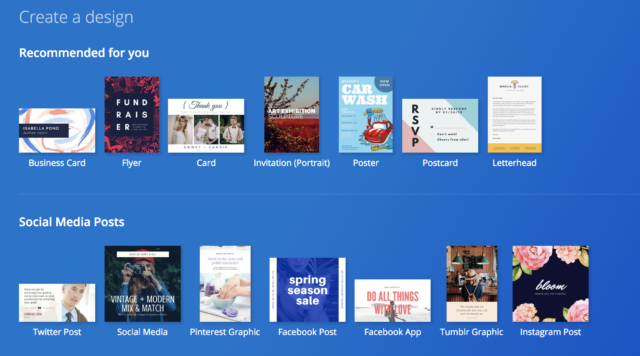 Canva is our go-to graphic design tool ($10 a month). It’s not as complicated as something like Adobe Photoshop or Illustrator because it’s designed to be a template-based drag and drop platform. You don’t need to know anything about design. Just use their hundreds of pre-made templates, enter your own pictures and text, and you’ll be on your way! For videos, we edit just about everything on iMovie to keep it simple, and then make it viral-ready with an app called Veme.ly ($7 a month). You may have seen these kinds of videos on social, and this is the easiest way to do it. Take our advice if you’re a DIY social media wielding business owner. Get a low-cost tool or two and save yourself tons of time. One of the biggest complaints of social media is that it’s too much work to remember to post all the time. We do this for a living and we agree… Make your life easier and work with a scheduling tool like Hootsuite or Buffer. If you’re only on Facebook, you can use their Publishing Tools to schedule out all of your posts. 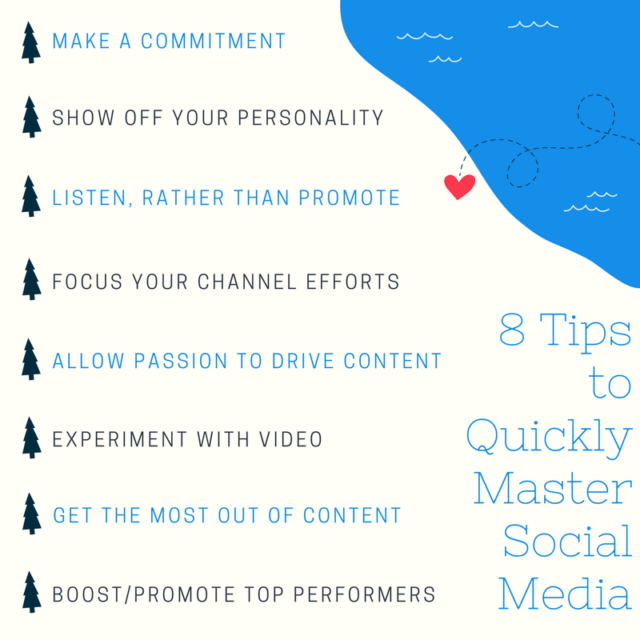 There are a few ways you can get started on your social media empire. The first is that you can do it yourself. The main perk of this is that you have total control of how your brand is represented, at least as far as you are able to create decent content. A second option is to bring on an intern or a staff member. This is a great option for smaller businesses that don’t have a ton of financial margin. Especially interns – they come pretty cheap and they are usually on social media as it is anyway! A third option is to hire an agency, and there are a few reasons businesses choose this. One may be obvious, but it’s usually the best way to get the most expertise for your dollar. 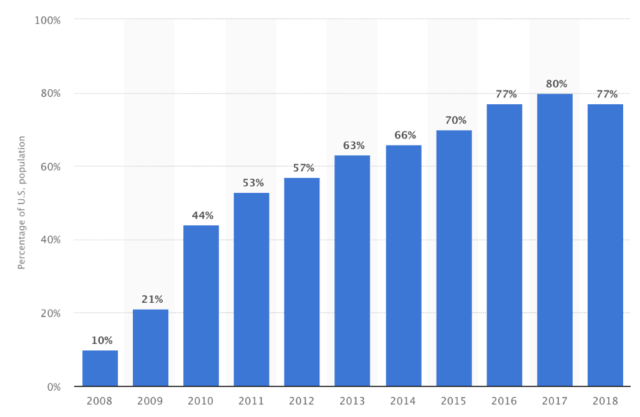 (See the by the numbers comparison versus an in-house employee) But a more important reason businesses prefer to hire an agency is because social media is only one part of a digital marketing strategy. It has some perks by itself, but it’s far more effective when integrated with SEO and online advertising. If you work with an agency, it’s easier to have a full-scale, max-efficiency effort that will produce a better return on your investment. If you aren’t sure about which option is the best option for you, let’s chat. Shoot us a message here or through our Facebook!